CEF Connect - Closed-end fund research. ETF - World's leading authority on exchange-traded funds. Clear, independent and authoritative news, analysis and education about ETFs. ETF.db - ETFdb has allocated each of the U.S.-listed exchange-traded products (ETPs) to one of approximately 70 "best fit" proprietary categories. When a new ETF is launched, ETFdb's analysts review the fund's stated objective, underlying index and constituent holdings to determine the most appropriate ETFdb category. The mapping between ETFs and ETFdb categories is reviewed on a regular basis. Exchange Traded Fund (ETF) - Wikipedia: "An exchange-traded fund (or ETF) is an investment vehicle traded on stock exchanges, much like stocks. An ETF holds assets such as stocks or bonds and trades at approximately the same price as the net asset value of its underlying assets over the course of the trading day. Most ETFs track an index, such as the S&P 500 or MSCI EAFE. ETFs may be attractive as investments because of their low costs, tax efficiency, and stock-like features." Exchange Traded Funds Resource Center - Investment Company Institute. Exchange Traded Funds (ETF) Search - London Stock Exchange (LSE). Exchange Traded Funds (ETF) - Morningstar. Exchange Traded Funds (ETFs) & Index Funds - NASDAQ Stock Market. Exchange Traded Funds (ETF) - Toronto Stock Exchange (TSX). Exchange Traded Funds (ETF) - Vanguard. 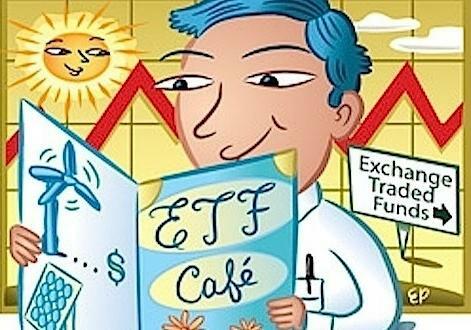 Exchange Traded Funds (ETF) Center - Yahoo! Finance. Exchange Traded Funds (ETFs) on XETRA or on Nasdaq OMX Nordic - ETFSverige.se information web site. Exchange Traded Products - NYSE Euronext. IndexUniverse - Independent authority on ETFs, indexes and index funds. Covers product and market developments related to index funds, ETFs, index derivatives (futures/options/swaps), and the sophisticated investment strategies that use these financial tools. Using ETFs in investment Portfolios - Exchange-traded fund basics at Investor Knowledge Centre (Vanguard Investments, Australia). This webpage last updated on Wednesday, September 6, 2017 9:37 AM.